I had planned to go today, but the weather forecast was bad, so I went yesterday. Good job too, as overnight we had 1″rain on land. Got some jobs done – some more fencing around the vegetables and burned some gash wood. 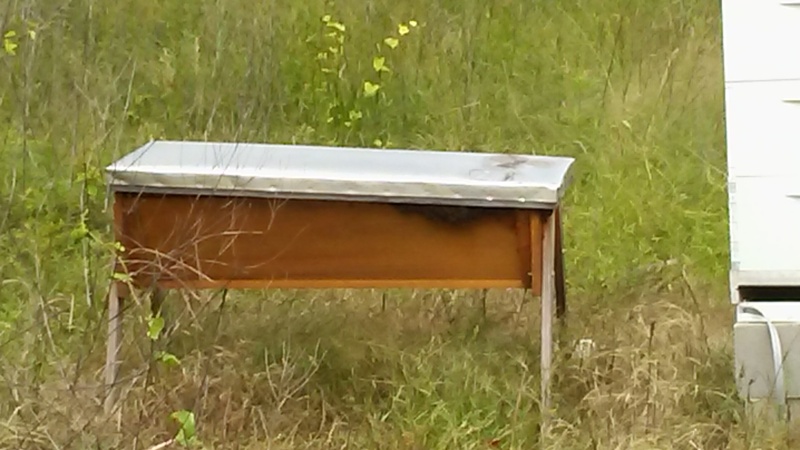 The top bar hive had a big bundle of bees below the lip (Sorry about the poor pic) when it looked like rain was about to start.